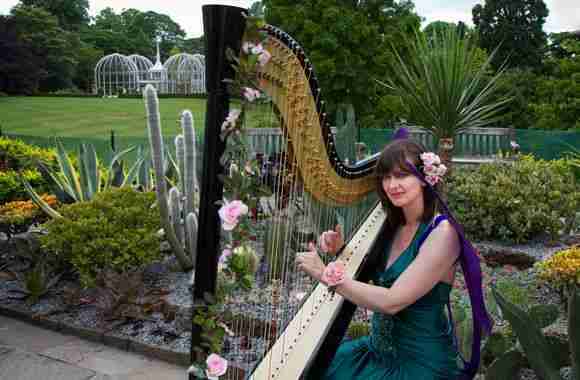 Fabulous Harpist from Yorkshire playing popular Classical and Romantic Chart Music for Balls, VIP Events and Weddings. 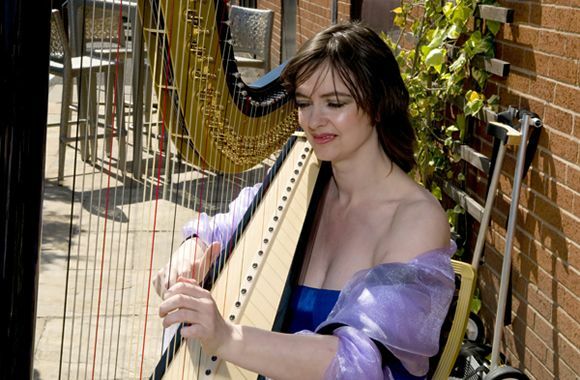 Award winning Bride’s Magazine Harpist Yorkshire, Ruby is the Recommended Harpist for Weddings in historic York, North of England, the Midlands and beyond. 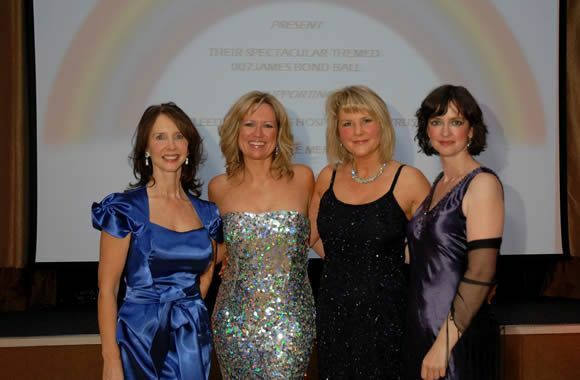 Book Ruby for your wedding day or event with confidence in a wonderful service to suit your needs. 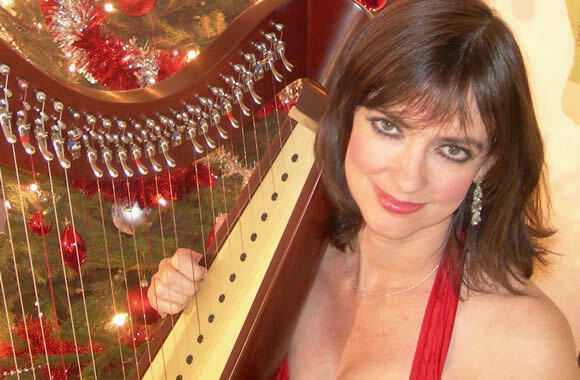 Choose Ruby Harpist for timeless music from a tireless performer who liases with every couple to create a programme tailored to their dreams. 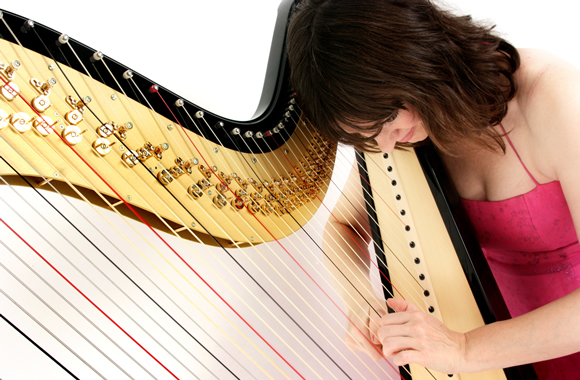 Ruby’s Harp performances combine elegance with excellence and attention to detail. Her beautiful Black and Gold Harp looks perfect for a refined occasion and will add the wow factor to your day. Beautifully Presented: the magical tones of the Harp are perfect for your celebration. 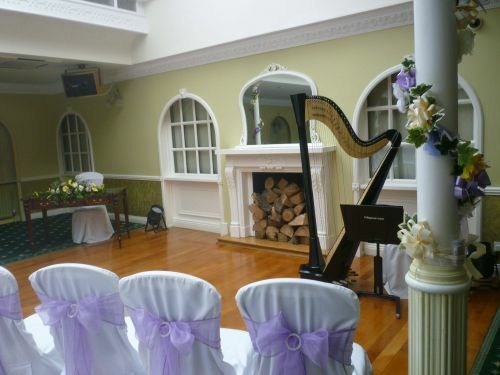 Elegant Harp music sets the scene during your Ceremony. 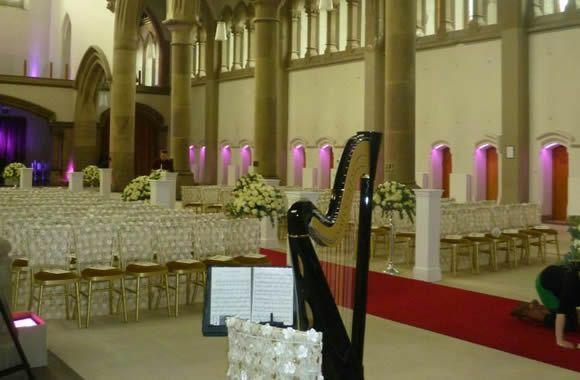 The Harp looks stunning at Wedding Ceremonies in Hotels, Castles, Churches or Unique Settings. 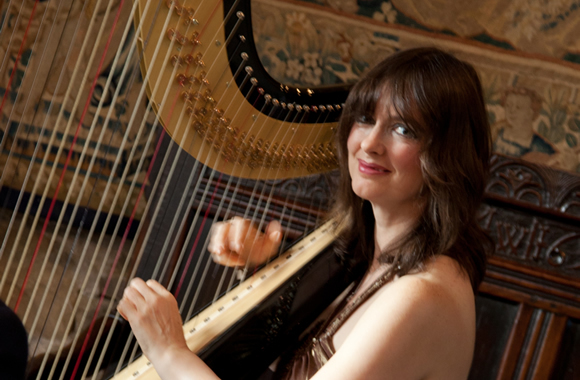 Ruby will then play beautiful Harpist Repertoire to entertain your guests during Reception Photos and Canapes. The most popular Wedding Package: Ruby will keep young and old alike enraptured. 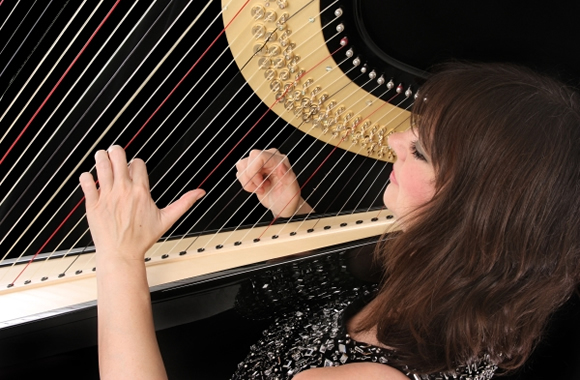 Lovely Harp Repertoire for your North of England or Midlands Wedding. Harpist music is played throughout the daytime Celebrations. 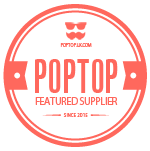 Why not get a free quote? Wedding Packages start at £240 for a Bronze package on certain dates. Packages are individually priced and include travel of 90 miles each way. Hi Ruby, just a quick note to thank you for playing at our wedding on Saturday. It was a really great mix of music and was very pleasant in the background. I would definitely recommend you to others! Thanks again, Kirsty. Ruby, Everyone said how well you topped the evening off, you looked lovely and it was nice to have some back ground music for a change. I hope they use you again on the next dinner before they go to Afghanistan in September, Rgds, James Wombell, Gazza Barracks. Mallyan Spout Hotel, Goathland,North Yorkshire.